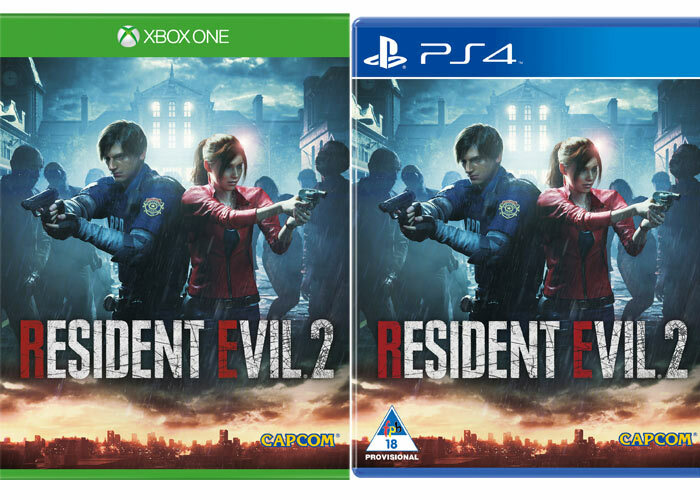 Stand a chance to win a copy of Resident Evil 2 for Xbox One or PS4! How to enter: Reply to the Resident Evil 2 Competition post that is posted on the Expresso Facebook page (www.facebook.com/expressoshow.sabc3) during the Competition Period and comment on the post by answering the question: “Who is your favorite Resident Evil character and why? 1.1. The Expresso Resident Evil 2 Competition (Competition) will be run by Cardova Trading (Pty) Ltd in association with Ster-Kinekor (Organisers/we/us/our). Entries for the Competition will open at 06h00 on Tuesday, 5 February 2019 and will close at 23h59 on Sunday, 10 February 2019 (Competition Period). 4.1. Reply to the Resident Evil 2 Competition post that is posted on the Expresso Facebook page (www.facebook.com/expressoshow.sabc3) during the Competition Period and comment on the post by answering the question: “Who is your favorite Resident Evil character and why? 5.1. We will randomly draw 2 (two) persons (Winner) from all valid entries received during the Competition Period by means of an automated system as Winner of the Prize within 3 (three) days from the closing date of the Competition, subject to clauses 5.2 and 7.2. 5.2. We will notify the Winner by commenting on the Winner’s entry post within 24 (twenty-four) hours from determination of the Winner to request a copies of the Winner’s identification document in order to validate his/her entry and to request further contact details. The Winner will be required to provide an electronic copy of his/her identification document within 3 (three) days from being requested by us, failing which the Winner will forfeit the Prize and have no claim against us. 5.3. If a Winner does not reply to the notification message sent by us within 3 (three) days from it being sent by us, that Winner will forfeit the Prize and will have no claim against us. In the event of a forfeiture as contemplated herein, we shall have the right to select a different entrant on the same conditions. 6.1. The Winner will receive a copy of Resident Evil 2 for either X-Box One OR PS4 valued at approximately R779 (seven hundred and seventy nine rand) (Prize). 6.4. The Prize, or any part thereof, may not be exchanged for cash nor any other item. Prizes are not transferable. We reserve the right to substitute the Prize, or part thereof, with any other prize of a similar commercial value.